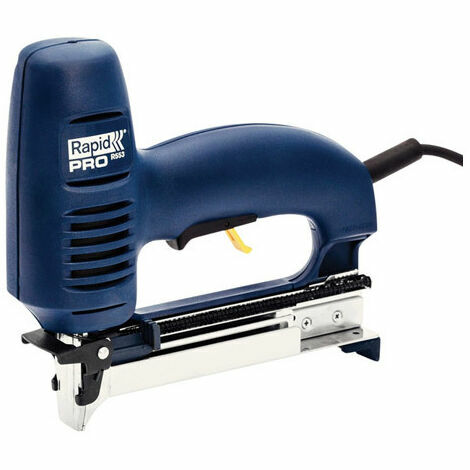 The Rapid PRO R553 Electric Staple/Nail Gun is ideal for professional users who need precision stapling and nailing. Featuring robust parts and quality construction, the R353 offers longer working life even when used intensively. It is particularly effective when used for furniture upholstery work or other types of fabric, carpets, leather or more sensitive textiles. The removable front plate allows jams to be quickly taken care of while a 3.5 metre cord increases accessibility and efficiency. Fires: Finewire No. 53 Staple: 8-20mm & Brad No. 8 Nails: 15-20mm.